Master Sgt. Mike Milton, Superintendent Hollis Milton, Sgt. 1st Class Charlie Turk and Lee High teacher Dean Caputo on Wednesday, April 18, 2018. West Feliciana Superintendent Hollis Milton and Lee High School teacher Dean Caputo were the first Baton Rouge area educators to participate in the Educator Civic Flight Program sponsored by the National Guard. 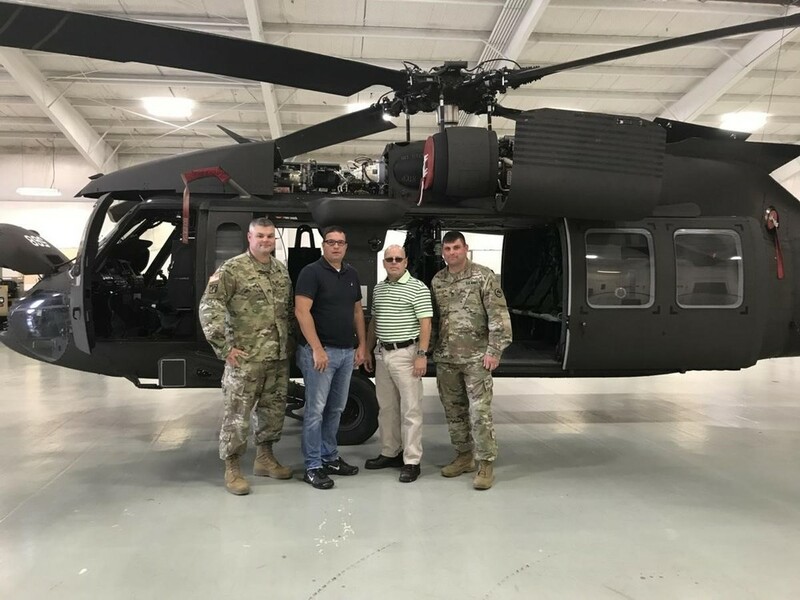 Milton and Caputo had an opportunity to fly in a Blackhawk helicopter in Pineville on April 18.